I want to thank Steve for nominating me for the 5 Day B/W Digital Photo Theme Challenge! 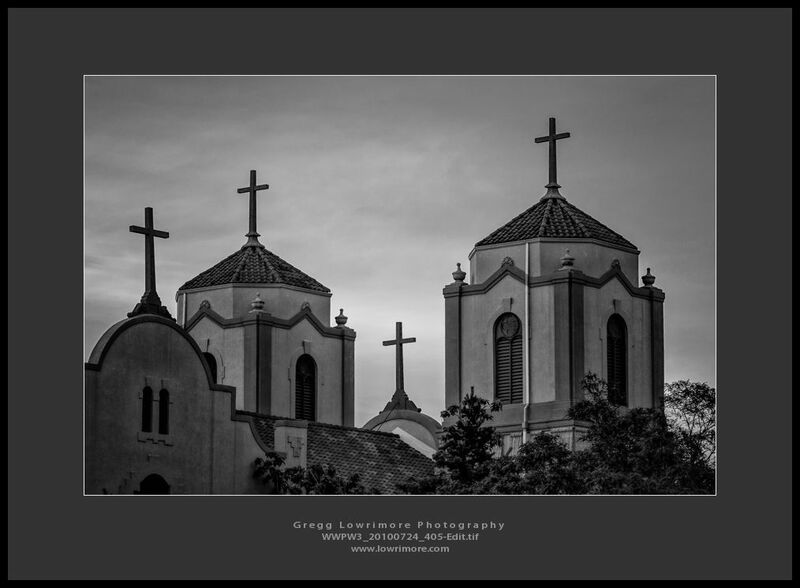 Posted in Fine Art, Landscapes, Photowalks and tagged B&W, church, Denver Photowalk by greggl with no comments yet. 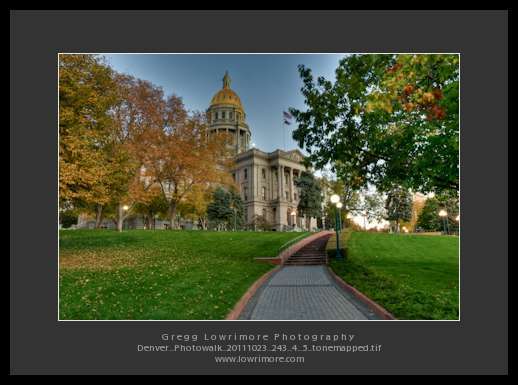 Back in late October, I participated in the Colby Brown Photowalk in downtown Denver. Colby is a local travel and landscape photographer here in DEnver and I’ve followed him in various social media outlets for a few years now. So when he decided to host a photowalk, I eagerly signed up if not just for the networking opportunities. 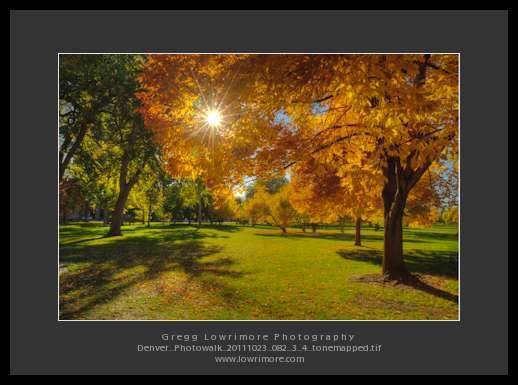 We began the walk at City Park, behind the Denver Museum of Nature and Science and the Denver Zoo, walking westward towards the Capital building. 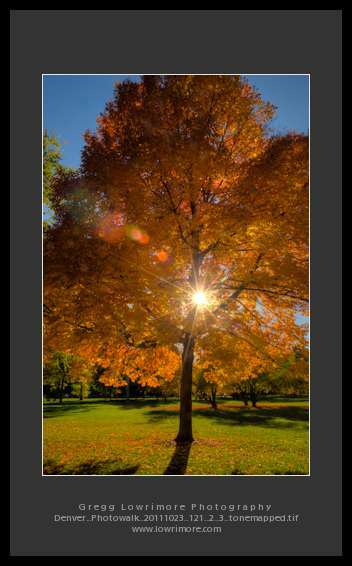 This being October, the trees in City Park were spectacular. 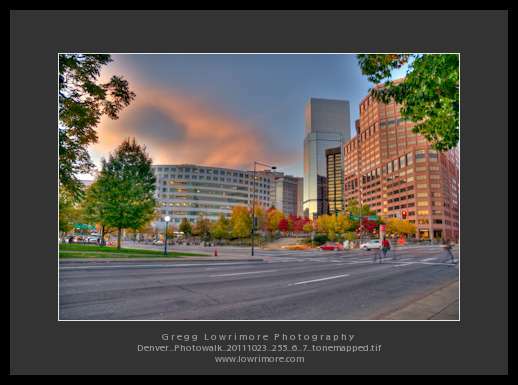 Downtown Denver was busy with people going wherever they need to be going on a Sunday afternoon. With the Occupy Denver protestors (patrol cars, looky-lou’s and hecklers) and the lower-downtown (LoDo) tourists, it was hard to get anything to stay still long enough for any camera exposure. Our walk ultimately ended up at the Capital building, amongst the Occupy Denver protestors hanging out in the quad behind us (in between the Capital building and the City and County building to the west.) And over the course of these couple miles, nothing really caught my eye — I wanted to really get to the Capital building and try out some HDR photography techniques with the waning sunset light on the building itself, so I was a little antsy to get to the end, I guess. 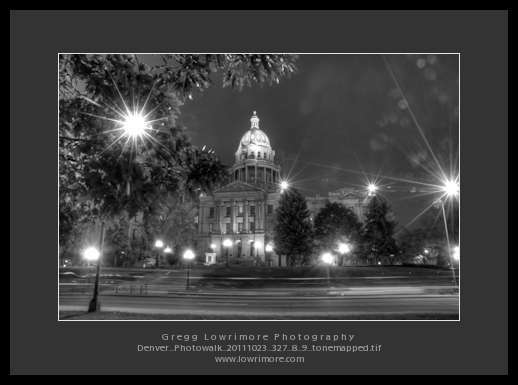 And finally, after the sun had set and the “glow” of the sun on the copper dome had faded, I had to try processing one final shot of the capital building in Black and White. What do you think of these images? 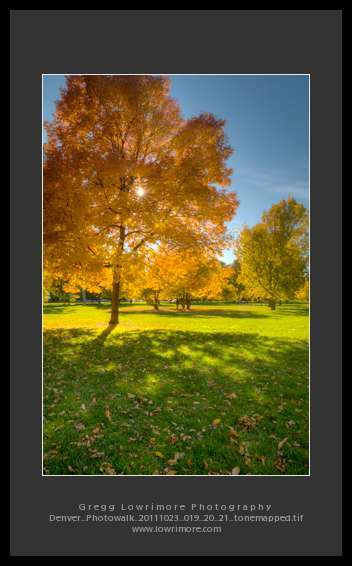 Too “HDR-ie” or natural enough that it doesn’t bother you to learn they were shot and processed as HDR images? Finally, the journey turned out to be a great walk and something Colby will conduct again this year. It was free to join and very fun to shoot and mingle with a lot of excellent photographers. I highly recommend this event this year. 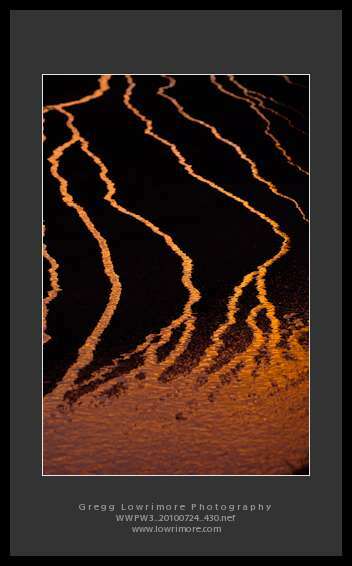 Check out the link above to Colby’s web site for announcements and dates of the next photowalk. I hear Roxborough Park might be on the agenda this time. 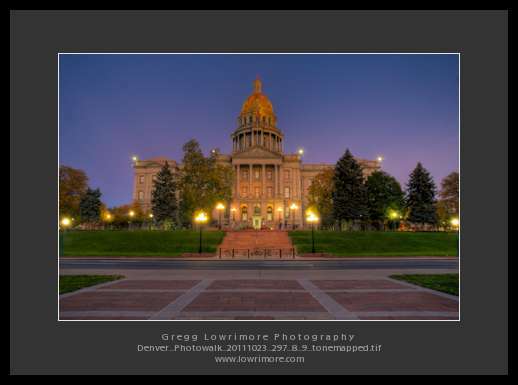 Posted in Landscapes, Nighttime, Photowalks and tagged architecture, buildings, capital building, Colby Brown, colorado, Denver Photowalk, Denver;, government, HDR, sunset, twilight by greggl with 1 comment. Anyone have a guess as to what this is a photograph of? Posted in Abstract, Photowalks and tagged Auraria Campus, Denver;, Scott Kelby Worldwide Photowalk by greggl with no comments yet.